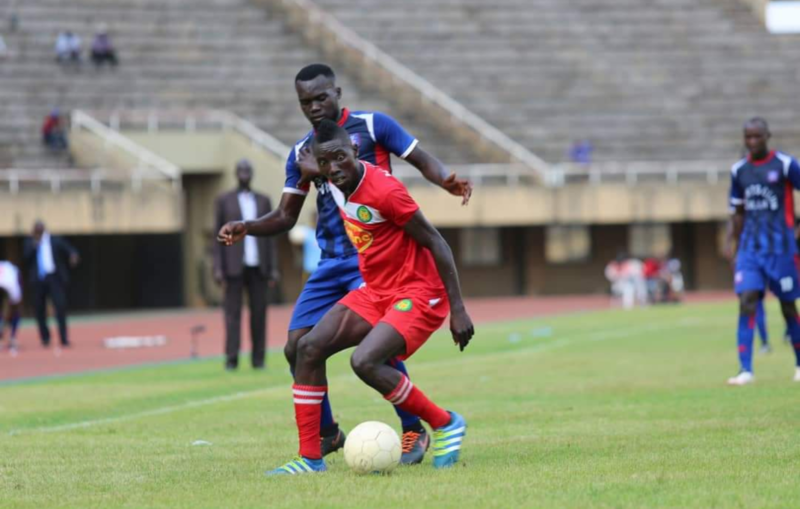 SC Villa’s two game winning streak was put to a halt on Tuesday evening as they drew 1-1 away to Bul FC. In the game played at FUFA Technical Center in Njeru, the Jogoos went ahead at the stroke of halftime thanks to inform Pius Wangi who was scoring his fourth goal in three games. Having defeated Vipers SC and Paidha Black Angels before Wednesday’s game, the Jogoos were optimistic of making it three victories on the trot but Bul had other ideas. On 69 minutes, Peter Onen’s side equalized through James Otim. As frustration mounted on Villa, they saw three of their players booked in quick succession. First it was Wangi, joined in the book by Derrick Nadhiro and then Moses Kiggundu. Despite not winning, the Jogoos have now gone three StarTimes Uganda Premier League games minus tasting defeat for the first time this season. The draw see Douglas Bamweyana’s side maintain 12th spot on the standings with 22 points from 20 games. For Bul, they are sti 4th having gathered 31 points so far. In the game played at Kakyeka, Mbarara City succumbed to a first home loss of the season as they relinquished a 1-0 lead to lose 2-1. Captain Hillary Mukundane headed the host infront with only 20 minutes of the game played, a lead they maintained until half time. However, Onduparaka who had gone seven matches minus victory restored parity on 54 minutes thanks to Mukundane’s opposite number Rashid Toha. 15 minutes from time, Ceaser Ochuti scored a second for Onduparaka to ensure that they take all three points from the game. Mbarara who have now failed to win only three of their first 11 home games of the season (D2 L1), remain third on the log with 36 points from 20 games while Onduparaka climb two spots into 5th with 30 points. At the Arena of vision, Ndejje made it two wins in their last two games thanks to a 4-3 victory over Tooro United. Ndejje started strongly and by the 10th minute, they were 2-0 up thanks to Francis Onekalit’s double. The visitors who looked out of sorts in the beginning started settling into the game and pulled one back Ronald Odokonyero’s own goal at the half hour mark. Five minutes before the break, Tooro were level as Mahad Yaya converted neatly from close range. However, Ndejje upped the tempo and regained ascendance through Anwer Ntege’s penalty deep into first half additional time. Odokonyero redeemed himself with 13 minutes to play, scoring at the right end to put some day-light between his side and Tooro United. However, Tooro were not finished as yet as they scores a third through Simon Sserunkuma with only a minute of the 90 to play. Despite conceding a third, Reymond Komakech’s side held on to record a second consecutive victory and in-process, re-ignite their charge to fend off the drop. The three points for Ndejje see them move into 16 for the season, two behind 13th place Maroons who face Express at Wankulukuku on Thursday. For Tooro, they drop into 7th on the standings with 28 points from 19 games.